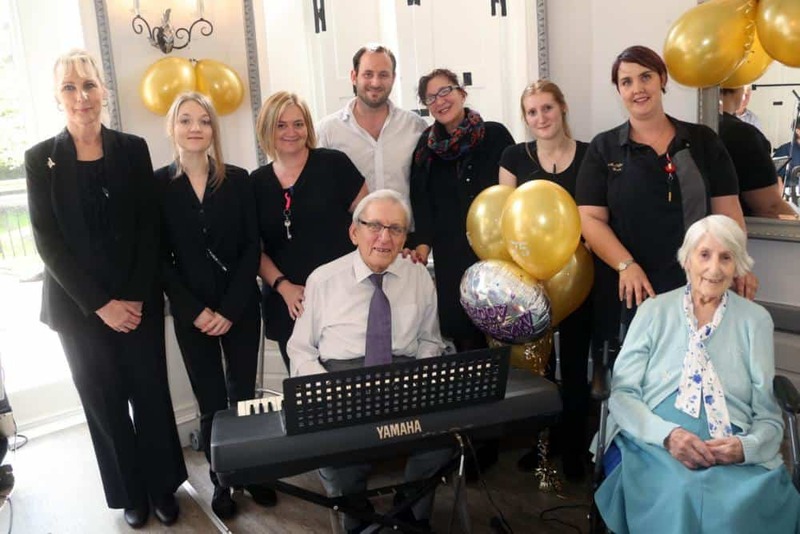 A 94-year-old pianist with dementia celebrated 75 years of marriage – with a rendition of his wife’s favourite song which he has never forgotten. Former soldier Edward Hardy struggles to remember a lot of things because of his disabling illness. But he has never lost his playing ability and could still serenade wife Betty, 92, with 50s jazz classic Misty to mark the milestone on Thursday (Sep 21). The couple married as teenagers before Ed served with The Musical Corp in Malaysia and India during WWII. Edward, who grew up in a newsagents, was a talented musician who set up his first band – the Sam Hardy Trio – when he returned from serving in Japan in World War II. They gigged across the West Country after the war as he and Betty saved up to eventually build their own bungalow in Glastonbury, Somerset. Last year they were parted when he was diagnosed with dementia and moved into a care home, leaving Betty behind at their house. But she moved and joined him weeks later and Edward still knows his way around the piano keys despite having a limited memory. Staff at Mellifont Abbey in Wookey, Somerset, where they now live, do their best to keep the music and the memories going. The home’s Activities Co-ordinator, Sam Kinsella, said Edward hadn’t played piano for nearly 25 years before moving to the home but he had no trouble returning to it. He said: “I remember the day Ed started playing again. He hesitated for about 30 seconds and then started playing some amazing tracks to a ridiculous standard. 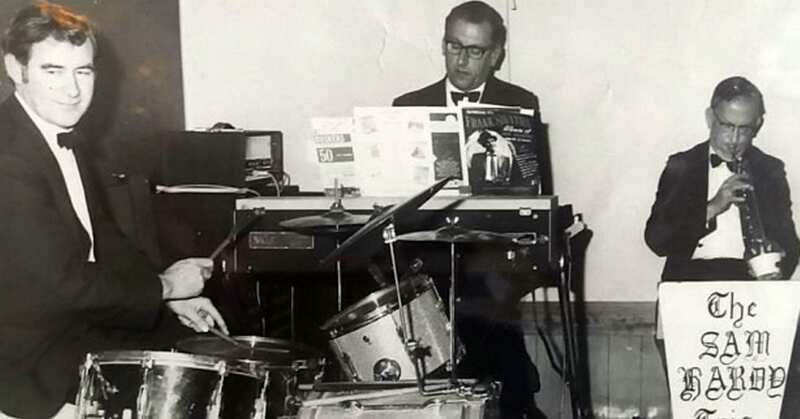 Ed Hardy with his band the Sam Hardy trio. Betty fondly remembers all the places that Edward’s decades of piano playing took them, including a 20-year road trip through the States. “We saw the whole country, from the Canadian border to the Gulf of Mexico,” she recalled. 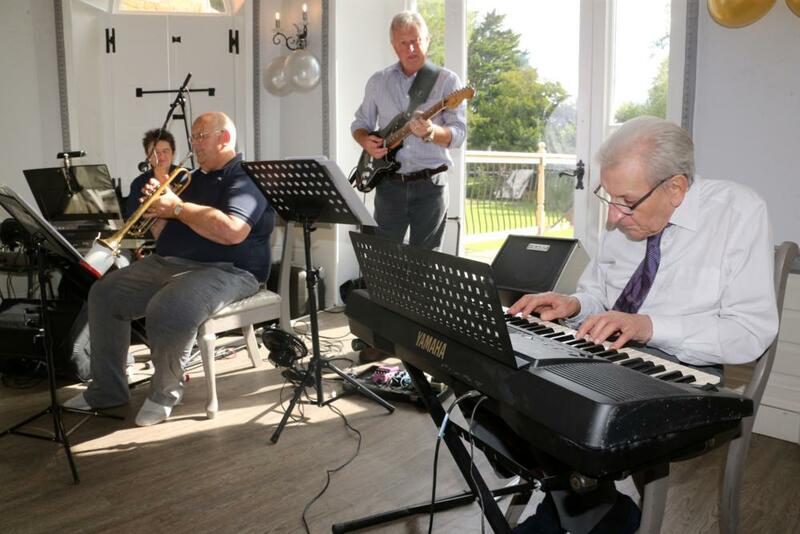 Last year, staff at Mellifont Abbey surprised Edward by reuniting him with his former bandmates – after an online ad for musicians to play with the pianist received more than 80 responses. “He hadn’t played with the band for the last 20 or 30 years and couldn’t really comprehend it until they actually came together,” said Mr Kinsella.